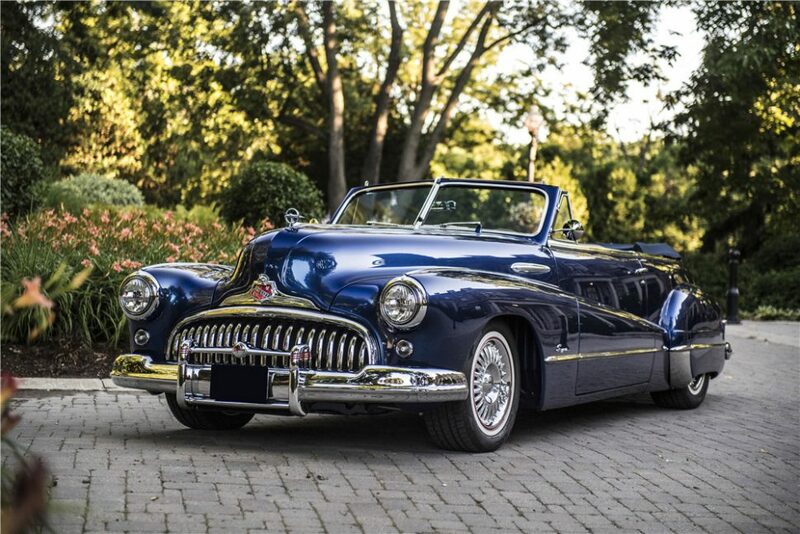 1947 Buick Super Eight custom convertible. Photos courtesy Barrett-Jackson. Barrett-Jackson’s Palm Beach, Florida, auction is an annual rite of spring that draw bidders and spectators alike from around the world. This year’s sale, which took place from April 11-13, saw 632 vehicles — worth a combined $30.18 million — go home with new owners for a claimed 98.9-percent sell-through rate. While there were both blue-chip collectibles and bargains sold, five cars in particular stood out to us. 1. 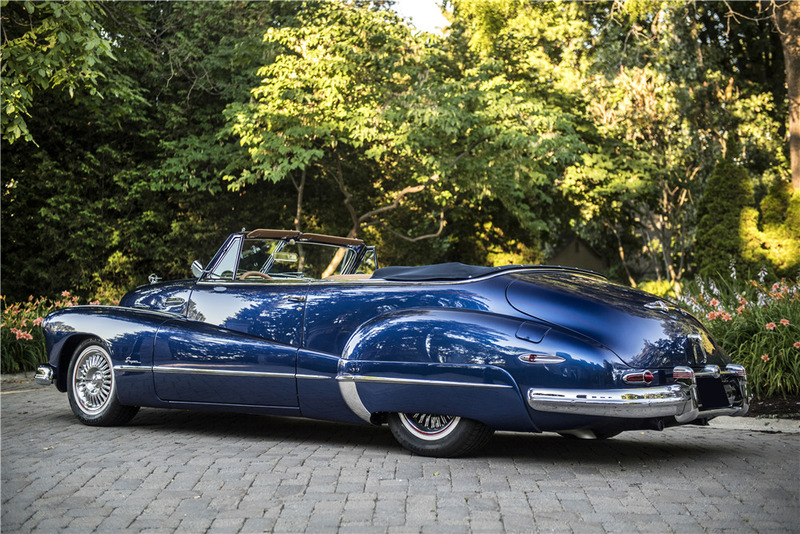 The topseller was a 1947 Buick Super 8 custom convertible. 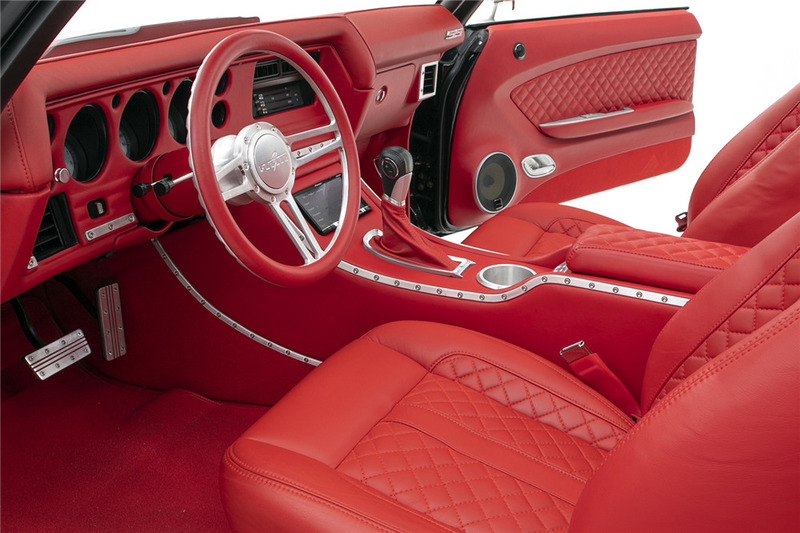 Custom cars can be a tough sell at auction, since they’re constructed to interpret the vision of the owner or builder, often without regard to cost. 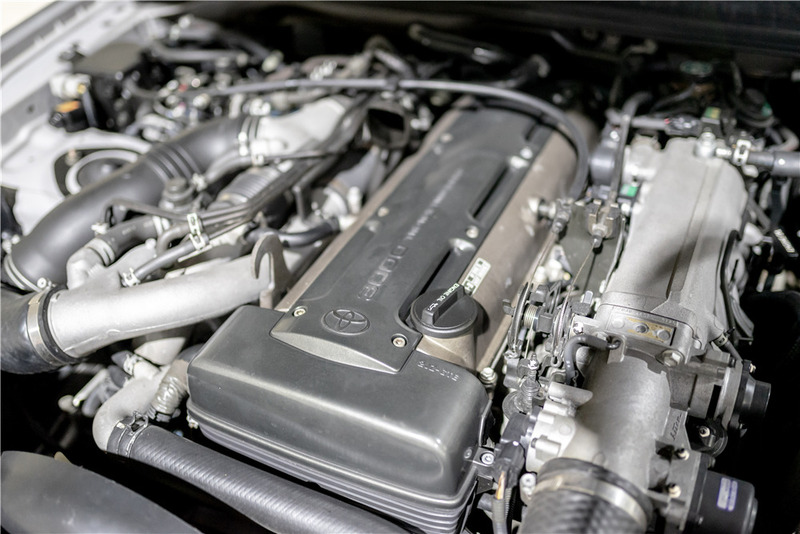 When the time comes to find a new caretaker, marketability is dependent upon finding a buyer with similar tastes, willing to pay as much of the car’s build cost as possible. 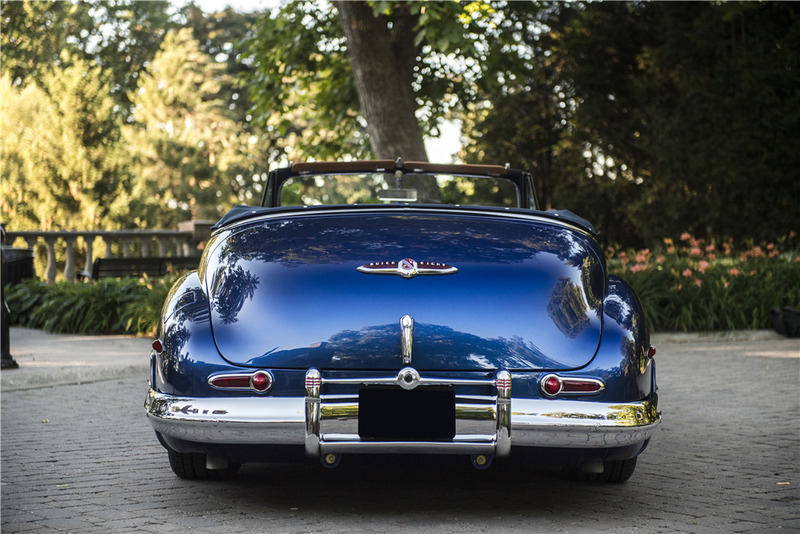 Sometimes, customs hold a near-universal appeal, and such is the case with the 1947 Buick Super 8 custom convertible that sold for a fee-inclusive $412,500 in Florida. 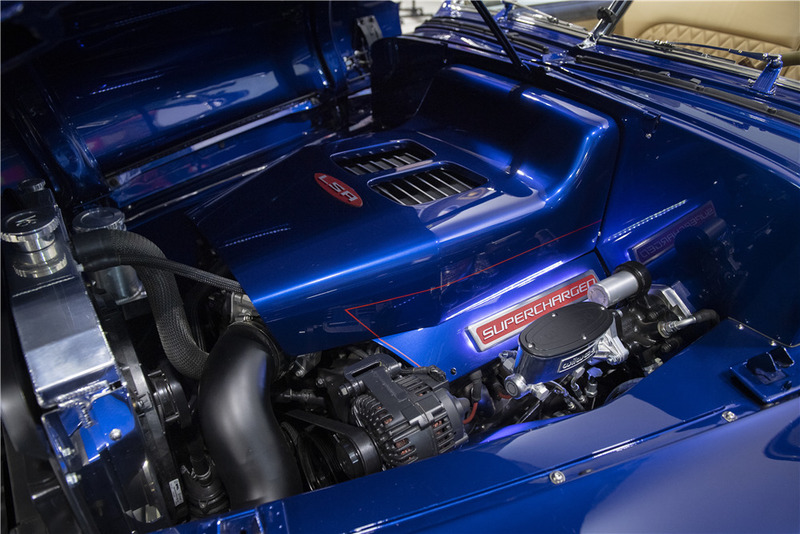 Under the sapphire blue paint is a modern automobile, built atop an Art Morrison chassis and powered by a supercharged 6.2-liter GM LSA crate engine, rated at 580 hp and 550 lb-ft of torque, and mated to a Supermatic 4L85E four-speed automatic transmission. 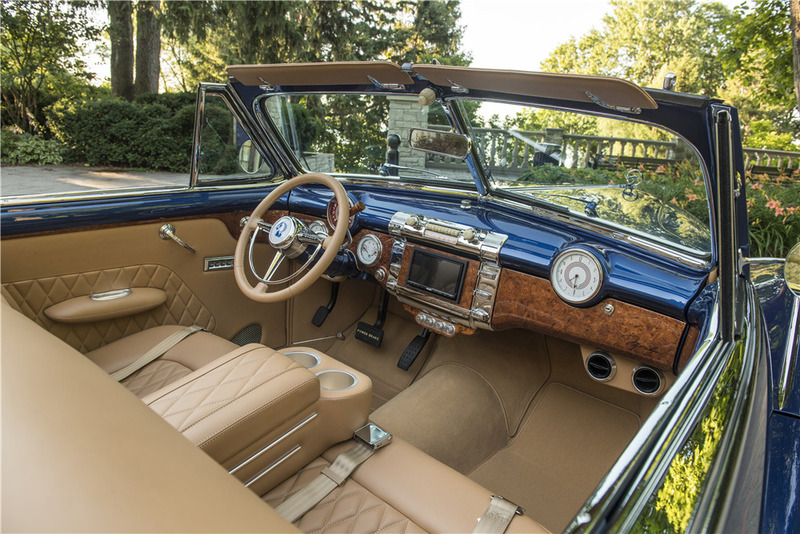 Inside, there’s a tan leather interior, a high-end audio system, and modern air conditioning, yet the cabin retains much of its vintage vibe (navigation screen aside). And then there’s the body, which — aside from ride height, the welded rear fenders, and the blue cloth top — doesn’t seem to deviate that much from stock form. Sure, those are 18-inch Foose billet aluminum wheels, but wrapped with whitewall tires, they really don’t look out of place. 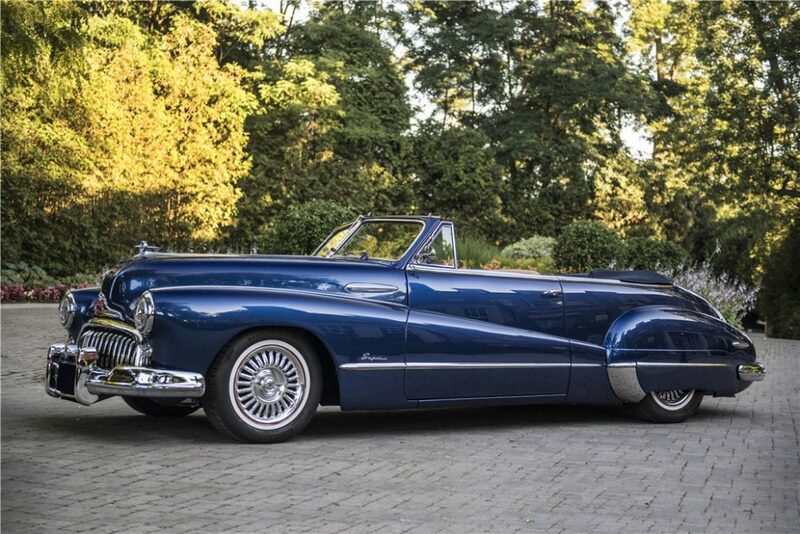 The consignor stated that the Buick had only been driven 1,000 miles in the year since the build was completed, and we sincerely hope the new owner exercises this custom with far greater regularity, regardless of the selling price. 2. 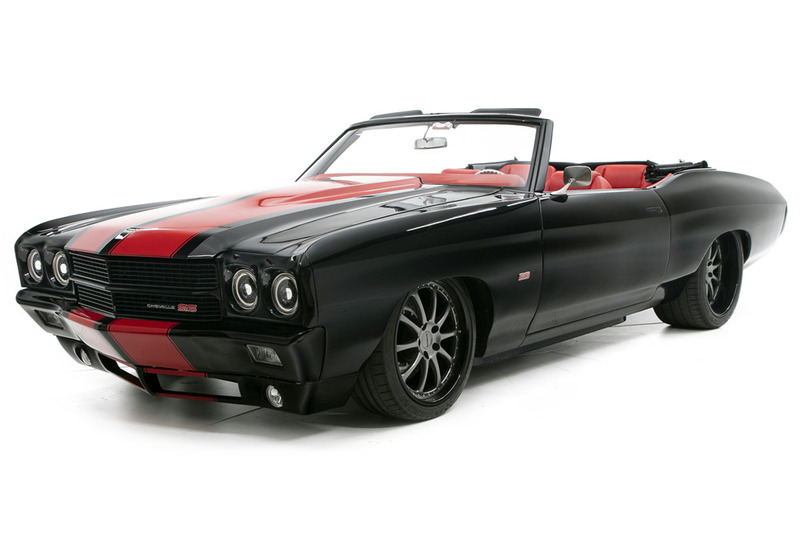 A 1970 Chevrolet Chevelle custom convertible restomod also cracked the top-10. 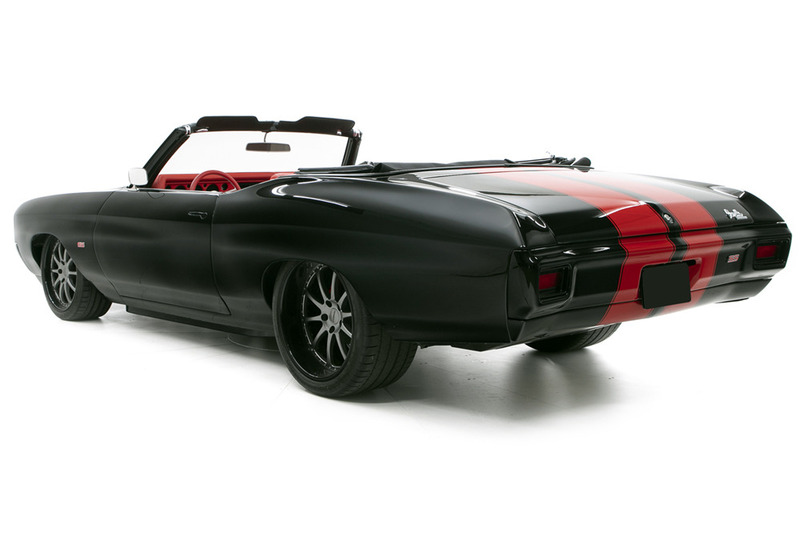 While the above Buick was subtle and refined (if such terms can be used to describe an all-out custom without damning it), this 1970 Chevrolet Chevelle convertible restomod was anything but. 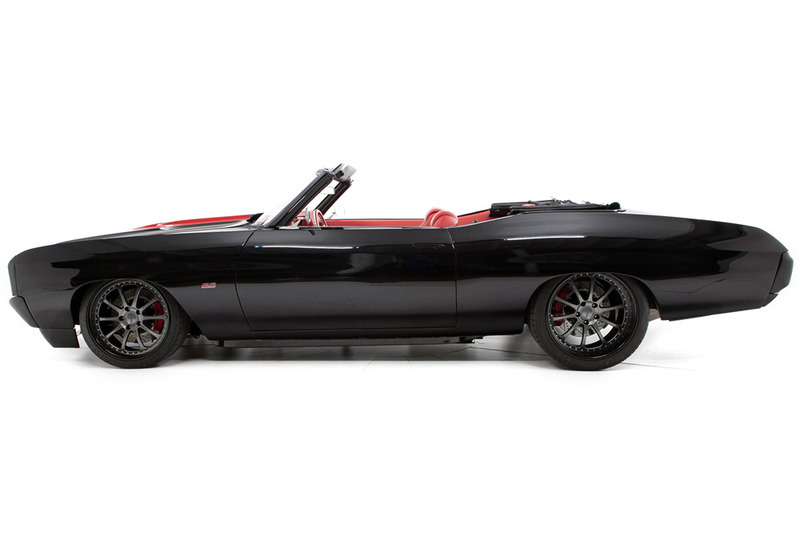 An in-your-face custom with black and red paint, a red leather interior, and massive Forgeline wheels, powered by a 480-hp LS3 V-8 mated to six-speed automatic transmission, the Chevelle found the right buyer in Palm Beach, selling for a fee-inclusive $253,000. 3. 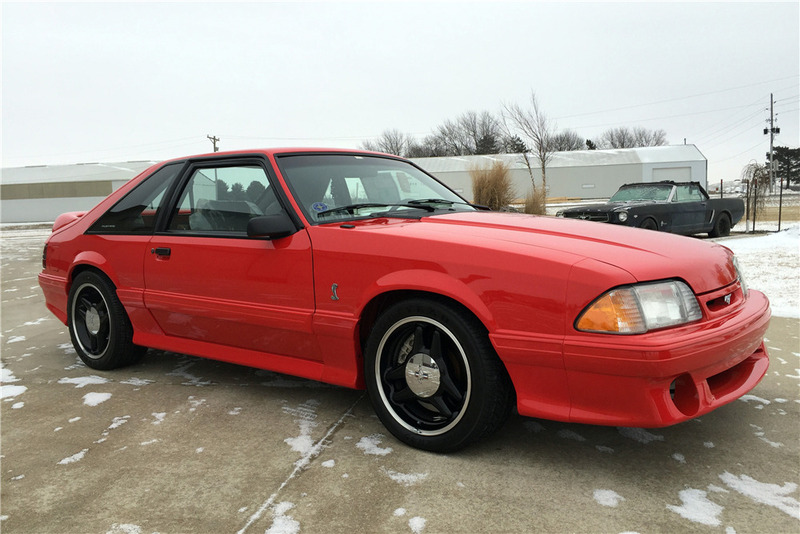 A 1993 Ford Mustang Cobra R tied a record price for the model but didn’t break it. 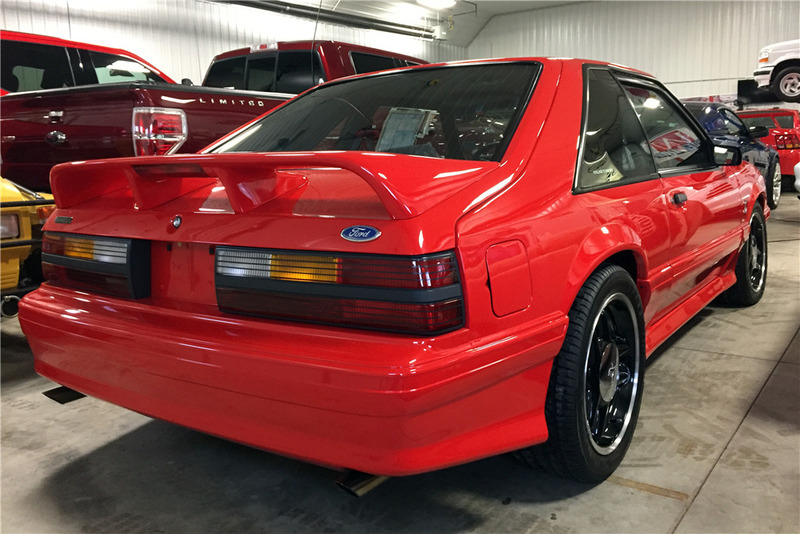 When Ford bid goodbye to the Fox-body Mustang in 1993, it sent the car off with the highest-performance variant ever built by the factory — the Mustang Cobra R, with the “R” denoting “Race.” A competition license was a prerequisite for purchase, and just 110 examples were built, making this perhaps the most desirable Fox-platform Mustang. 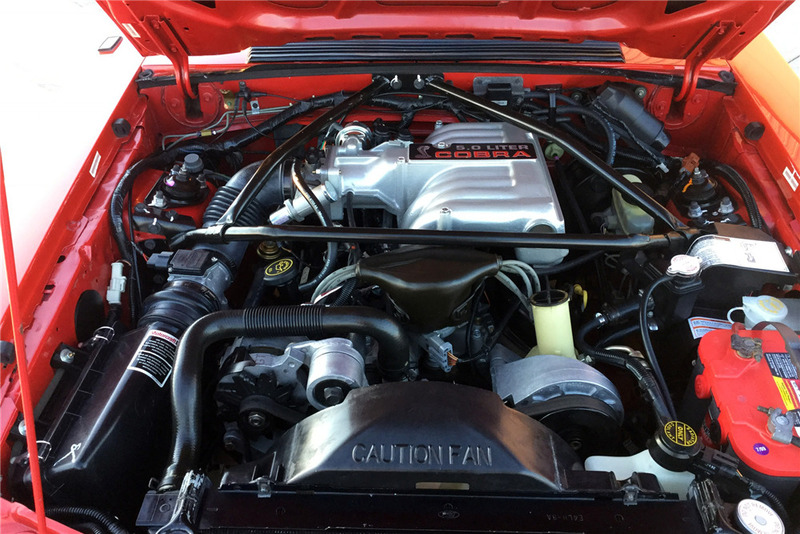 Last January, in Scottsdale, Arizona, Barrett-Jackson sold a 1993 Mustang Cobra R (#11 of the 107) with Ford Racing modifications that included an upgraded camshaft and GT40 cylinder heads. 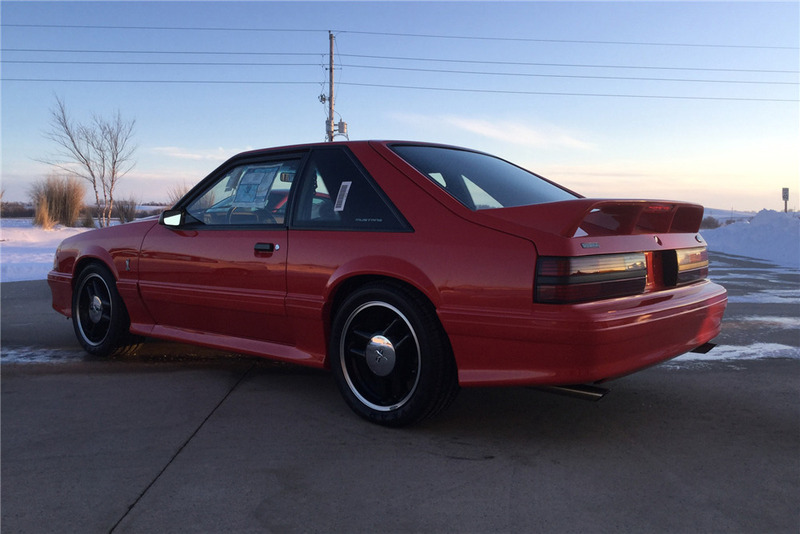 Showing just over 500 miles on the odometer, the car sold for a fee-inclusive $132,000, setting a new benchmark for a Fox-body Mustang. 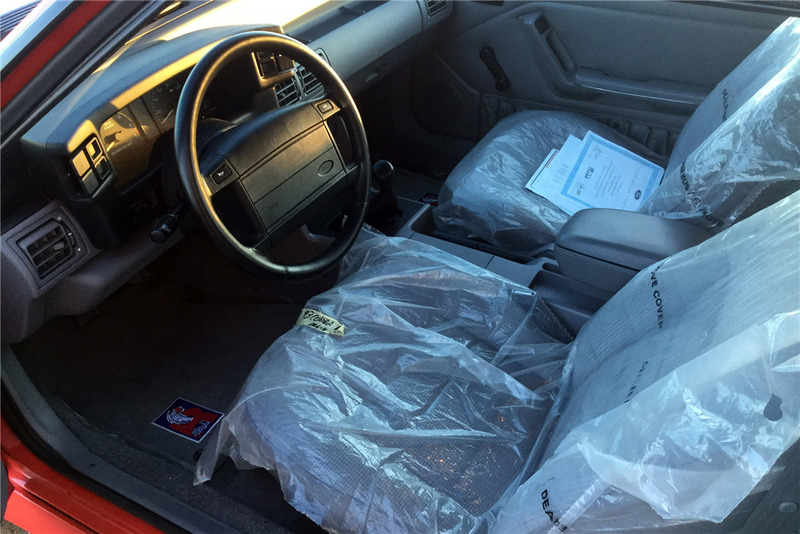 The 1993 Mustang Cobra R that crossed the stage in Florida (#73 of 107) showed slightly higher mileage (but less than 600 miles in total) and came in unaltered form, which generally translates to a higher selling price at auction. 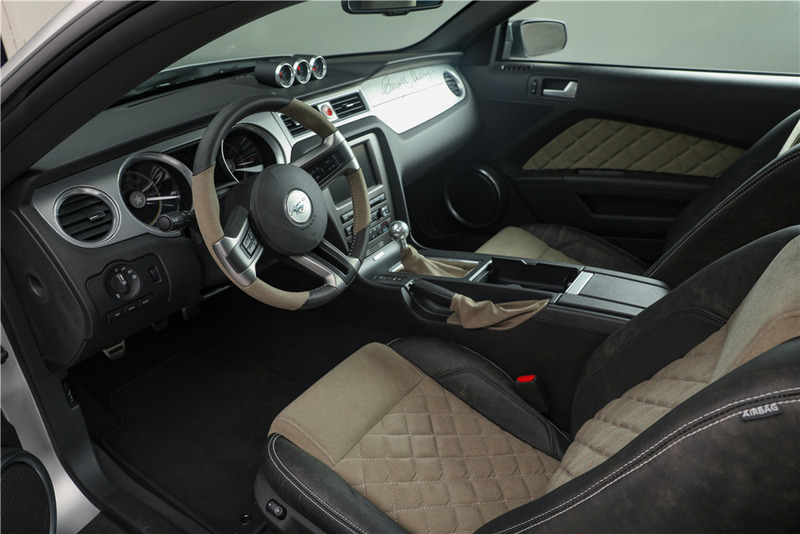 Furthermore, it was said to be the example used by Ford for promotional photography when the Mustang Cobra R reappeared (on the SN95 platform) as a limited-production model in 2003. Despite these bona fides, the car sold for the same fee-inclusive $132,000, tying the existing record but not breaking it. 4. 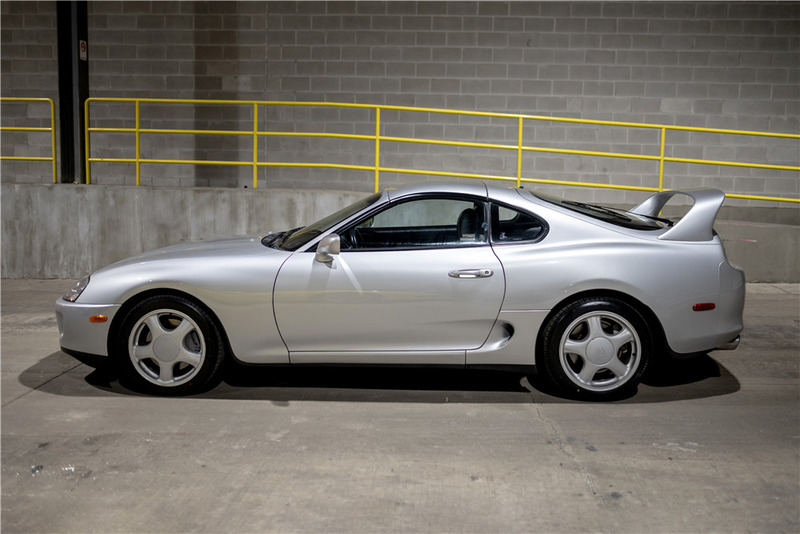 A 1994 Toyota Supra Turbo changed hands for less than half the price of a comparable model sold at Amelia Island. 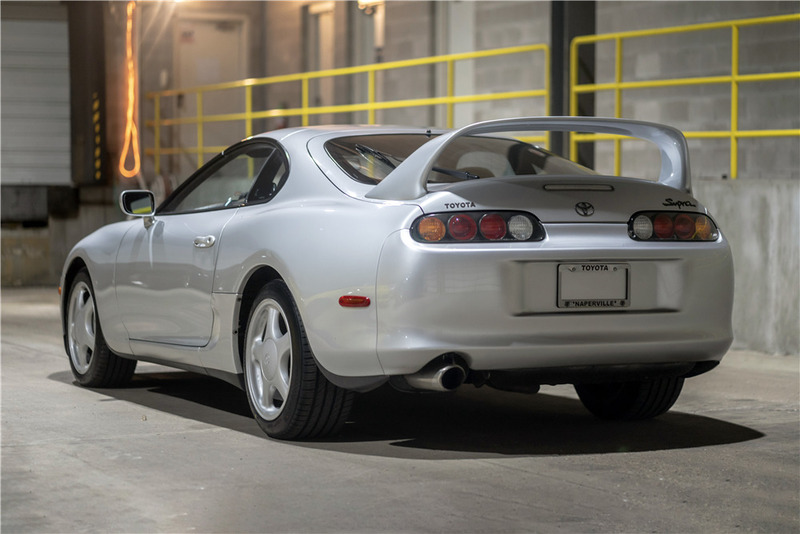 Fourth-generation Supras with the 2JZ-GTE twin-turbo six-cylinder have become sought-after sports cars for a new generation of collector. Back in the day, these cars earned a reputation for reliability, even when modified to produce jaw-dropping levels of output. 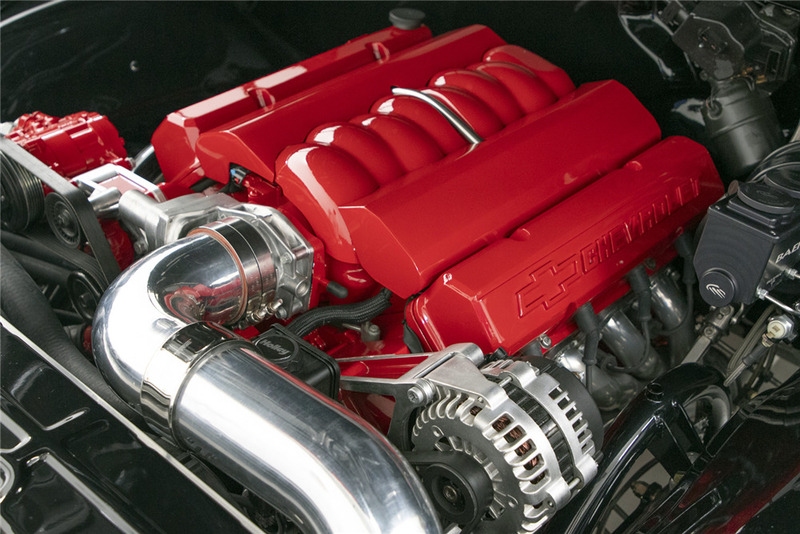 Their popularity with tuners and owners seeking more horsepower is why few unmodified examples remain today. 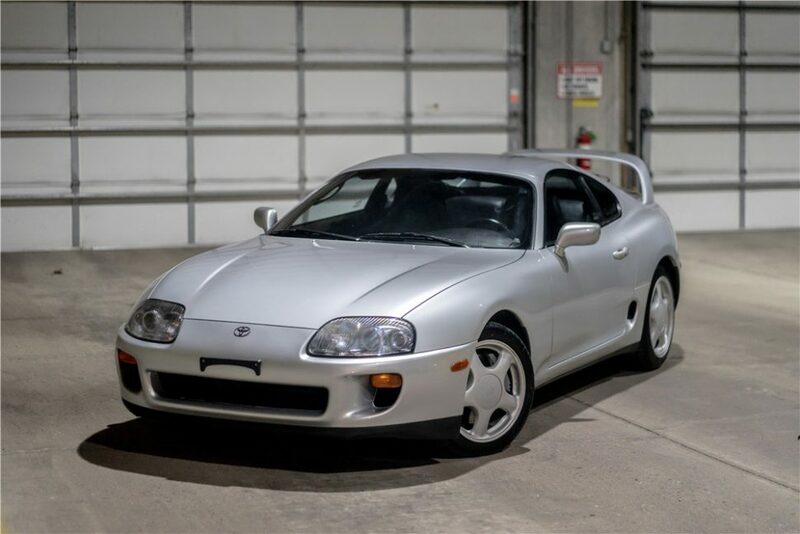 At last month’s Amelia Island auctions, a 1994 Toyota Supra Turbo sold for $173,600, setting a new record for the model and far exceeding the high pre-auction estimate of $120,000. A contest between bidders helped raise the price, as did the car’s 11,200-mile odometer reading and desirable five-speed manual transmission. 5. 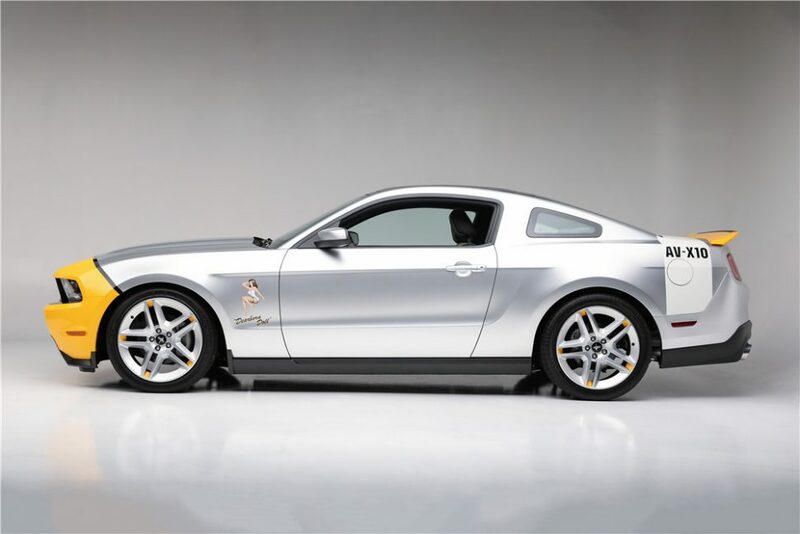 The 2009 EAA Airventure charity car, a 2010 Ford Mustang GT called the Dearborn Doll, raised just $90,000 for charity. 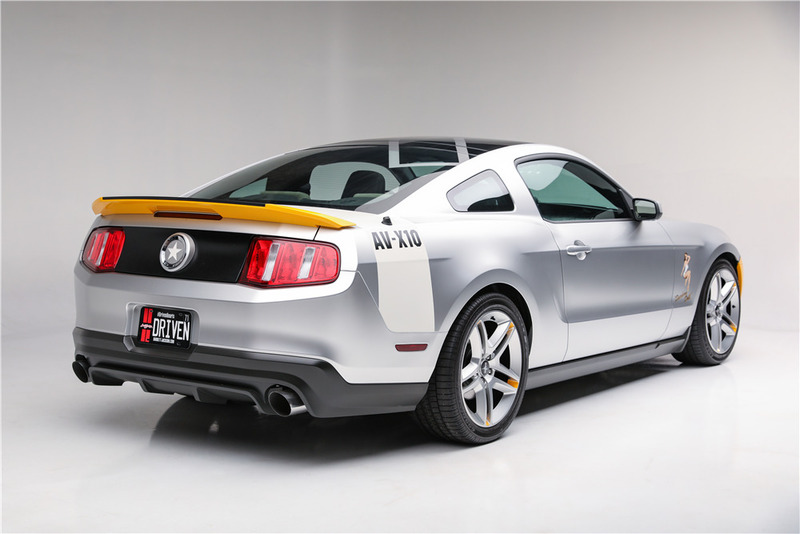 From 2008 to ’17, Ford supported the Experimental Aircraft Association’s Gathering of Eagles fundraiser by donating a custom-built, aircraft-themed Mustang (or, in 2017, an aircraft-themed Raptor pickup) to be auctioned off. 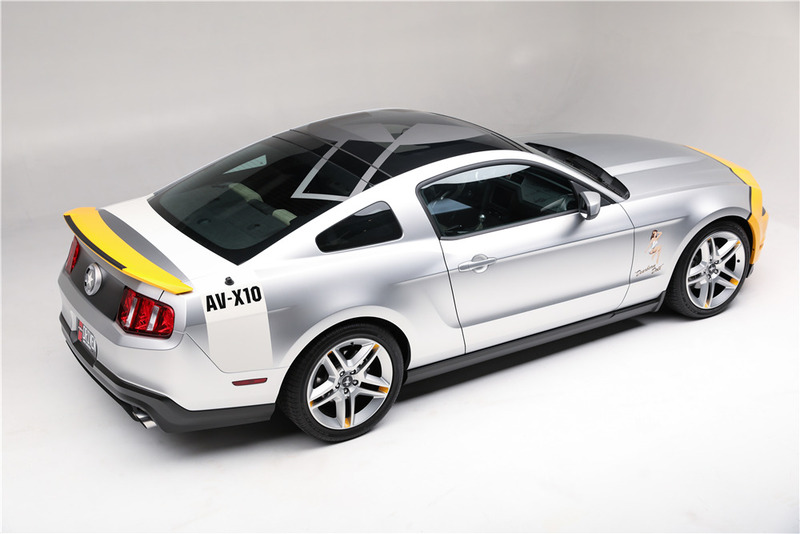 In 2009, the second year of the program, the auction car was a 2010 Ford Mustang GT with modifications inspired by World War II fighter aircraft, including custom paint (complete with nose art), a leather interior with a “distressed bomber jacket” look, and an instrument panel that included a pyrometer, boost, and fuel pressure gauges. 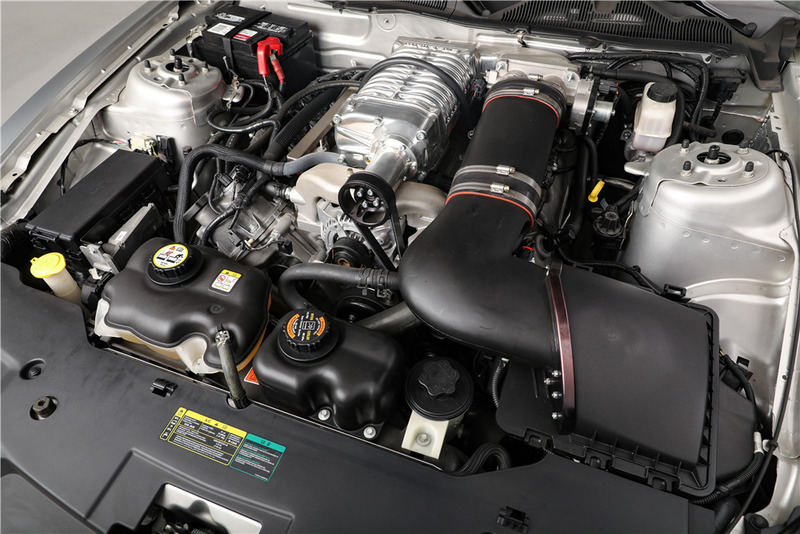 Under the hood, the 4.6-liter V-8 was topped with a Ford Racing supercharger and performance exhaust, which bumped output to a respectable 550 hp. When the car crossed the auction stage in Oshkosh, Wisconsin, back in 2009, the selling price was $250,000, with all proceeds going to support EAA youth programs. Last weekend, the Dearborn Doll crossed the stage to raise money for Reach Out Worldwide, a charity that links first responders and those in the construction trades with locals when a natural disaster strikes. The organization was founded by the late Paul Walker in response to the 2010 earthquake and subsequent humanitarian crisis in Haiti. Though a worthy cause, the Mustang reached a selling price of just $90,000, a disappointing $10,000 less than what a recreation of the “Wagon Queen Family Truckster” from the 1983 comedy, National Lampoon’s Vacation achieved. For complete results from Palm Beach, visit Barrett-Jackson.com.